Latest Weed News & Reviews - Weedy. Read the latest marijuana strains reviews, try out novel edibles recipes, get updates on new cannabis products and paraphernalia, find out about local dispensaries and head shops, discover weed-related events and fantastic new deals. Sebaceous glands in your skin produce an oily substance called sebum. Its normal function is to lubricate your hair and skin. But excess sebum in combination with dead skin cells can clog your hair follicles. If bacteria grow within the plugged follicle, acne results due to the ensuing inflammation and infection. Keeping your skin clean is an effective way to deal with mild acne caused by the presence of excess sebum and dead skin cells. The steam created by a hot compress can wash away clogging particles, decreasing the number of plugged follicles. Steam also opens up your pores, loosening existing plugs. Washing your skin after with warm water and a mild facial cleanser will clear away any particles the compress helped loosen. 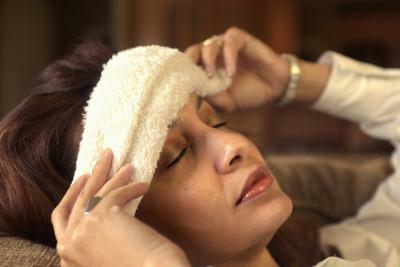 Hot compresses alone might not be enough to combat severe acne. A mild case might worsen due to a combination of other contributing factors, such as the effects of hormones and certain medications. Your diet also might be to blame, according to MayoClinic.com, which cites research indicating dairy products can worsen acne. Also problematic are carbohydrate-rich foods such as bread, chips and bagels, which rapidly increase your blood sugar levels. If factors like these are contributing to your acne problem, you will need more than nightly hot compresses to improve your skin.